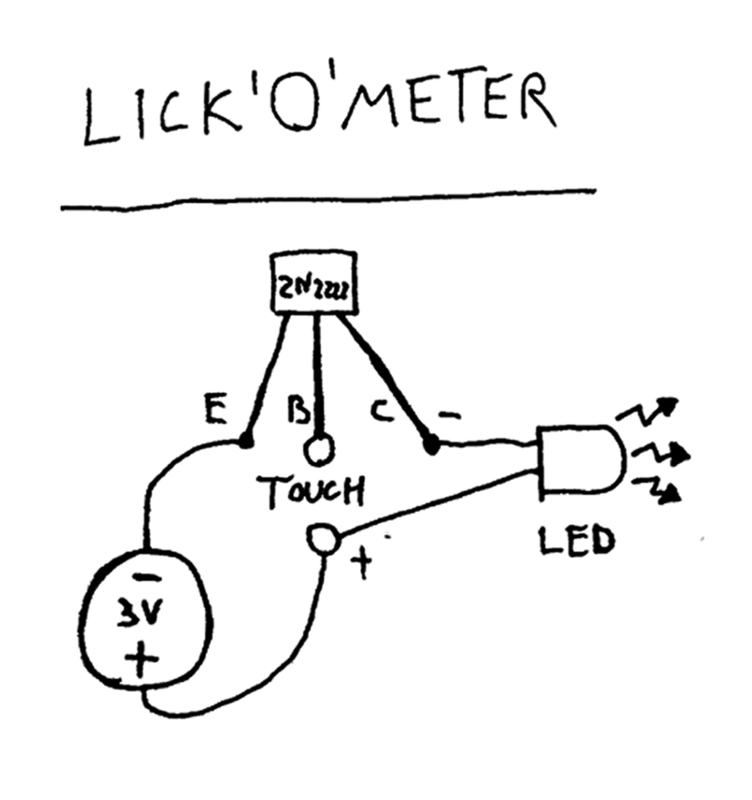 Lick’O’Meter is A Simple And Very Interesting Resistive Touch Circuit . 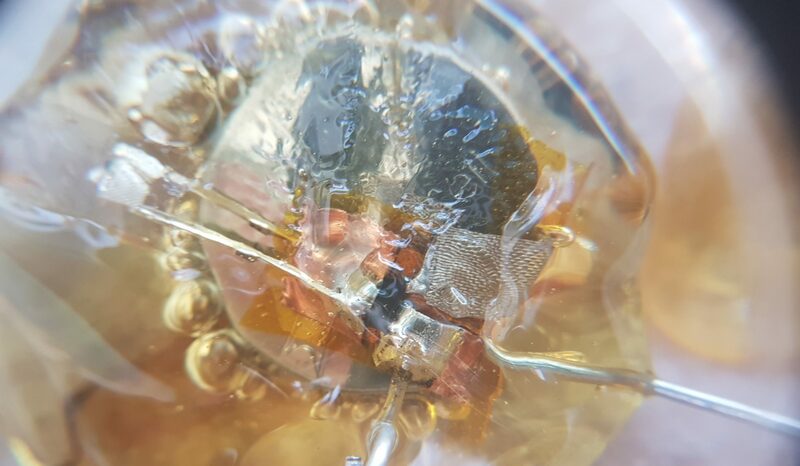 we’ve been Developing The Lick’O’Meter Circuit since 2015 And Teaching it in our basic Electronics workshops, Electrodible – Smart candy Workshop and various projects. 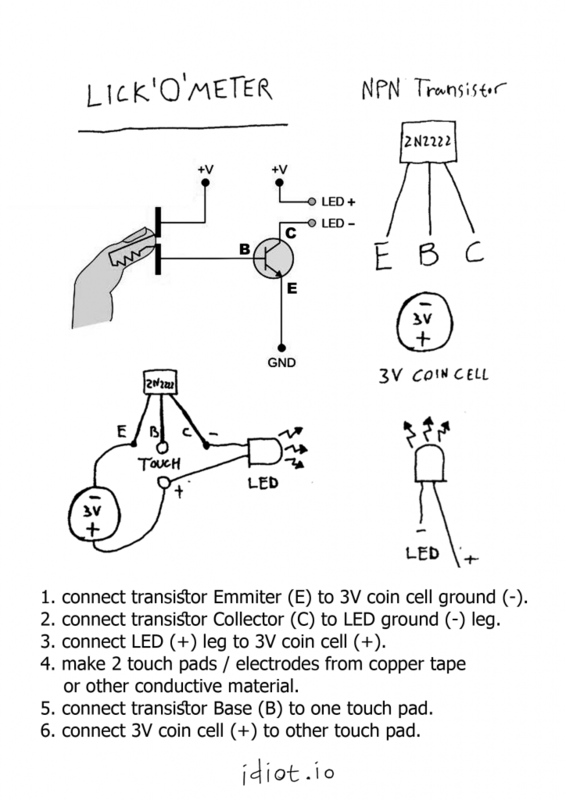 This is the most basic type of touch switch, in its simplest form. The operation is simple. A transistor is used as a switch. The resistor keeps the base to ground when no electrode is touched, so it does not float. then a small amount of current will flow through the skin to the gate of the transistor. The transistor will then go from cut-off to saturation, and current will flow from the D S region to the LOAD. There are numerous different ways to implement a resistance touch switch, with transistors, with 555, with 741, with CMOS and many more. which finally stimulates an amplifier or another current sensitive part.